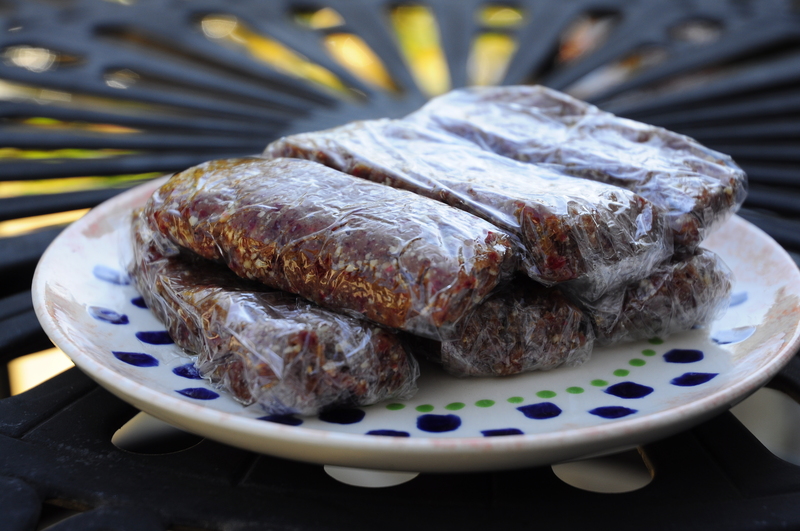 Larabars are my favorite on-the-go snack! They are made from whole foods, are super nutritious, and have a great balance of good protein, carbs, and fat to fill a tummy and sustain energy. They have many fun flavors, but my favorite is Peanut Butter and Jelly. At almost $2 a bar, though, these snacks had to be a rare treat, UNTIL I found a way to make them at home! Using a Blendtec blender or a food processor, you can mix up homeade Larabars in no time, and they only have 4 whole food ingredients. I mixed it all up, spread it into a baking dish, cut them into bars, and wrapped them up individually to store in my fridge. Mix together until it forms a paste, press into a baking dish, then cut into bars.